Here are recent and upcoming media interviews of Coalition Director Art Harman, discussing the future of the space program. Listen to and share the podcasts. Radio, TV, newspaper and web outlets are invited to book Mr. Harman for an interesting and informative interview. Upcoming: January 31 at 8:10 AM ET on the "Good Mornings" show on WFIN radio in central Ohio to discuss the space program and the ideas of the presidential candidates. www.wfin.com/morning. Upcoming: January (this week TBA) on 65 stations affiliated with Florida News Network. 40 second report regarding Newt Gingrich's space policy speech. Stations Also will be featured in a print news story. Upcoming: January 30 on the nationwide John Batchelor Show to analyze Newt Gingrich's speech calling for a bold new space program. Segment will be in the midnight to 1:00 AM hour. Podcast available after show. November 21 at 2:30 AM EST on the Goldstein on Gelt Show, on Israeli National Radio and other stations worldwide, to discuss the future of the space program. The world is interested! Goldstein on Gelt Show -- Check out the podcast. May 29 WQYX and 5 other CBS Radio stations in the Tampa Bay area on the "In Touch With Tampa Bay" show. 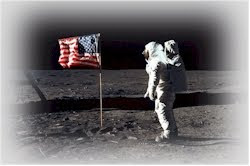 May 25 on the nationwide John Batchelor Show regarding the 50th anniversary of President Kennedy's historic challenge to go to the moon "in this decade."